Adya Cosplay has been a cosplayer for almost a decade. She enjoys cosplaying characters from animation, comics, tv, and movies. 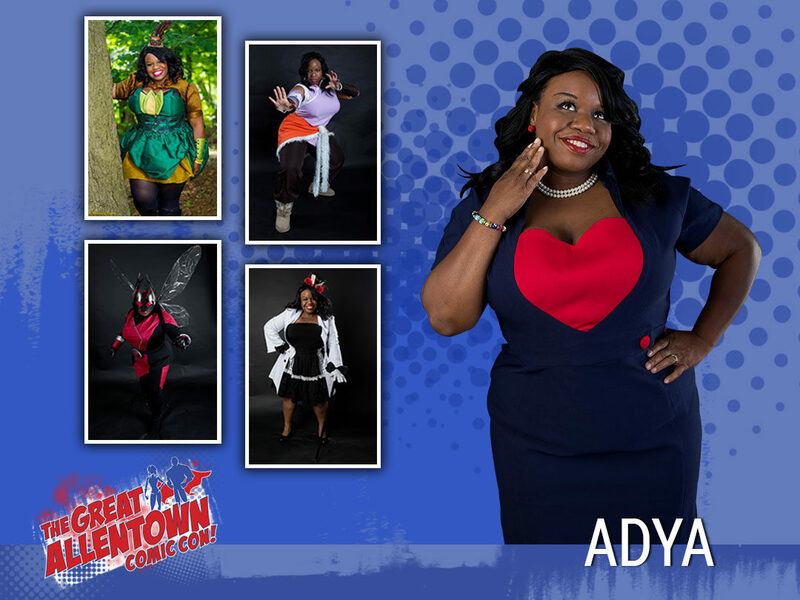 Adya Cosplay appeared in the Women Vs. Cosplay calendar. This year, she appeared on a national television show. She is script supervisor for several independent films by Together Brothers Productions. Adya is passionate about giving back to the community. She is a member of the Philadelphia Avengers. Adya participates in events that help promote positive causes such as: positive self-image, anti-bullying, education, and a several other causes.